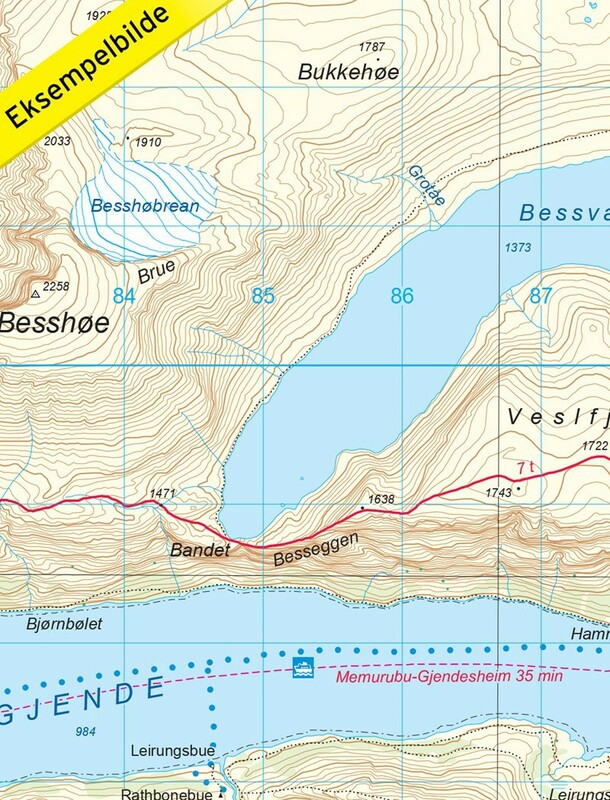 Hiking map of the Aust Jotuheimen mountain and the Bessengen Ridge (Norway). 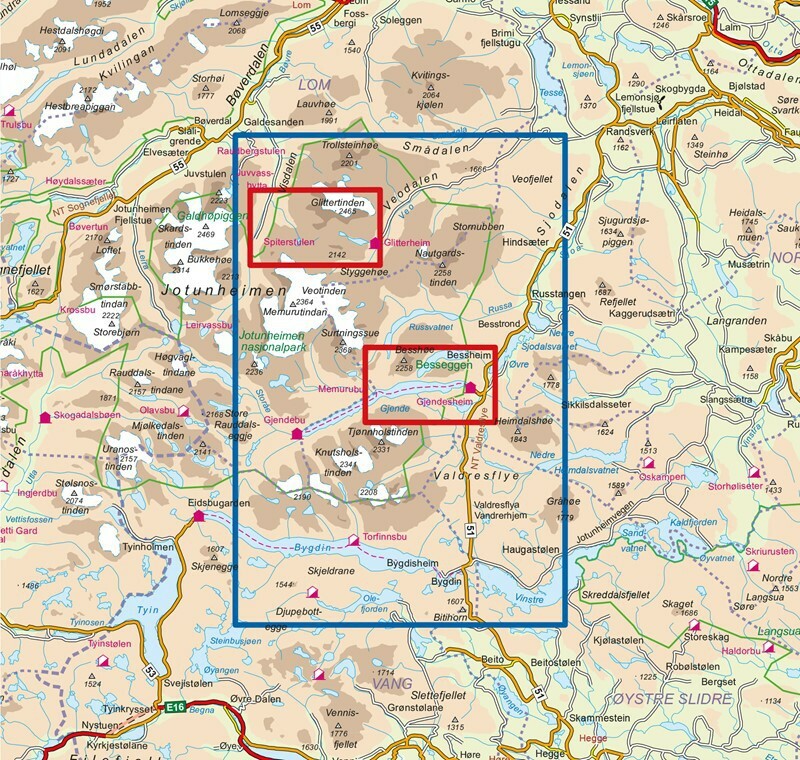 The topographic map at 1: 50 000 covers the eastern part of Jotunheimen. 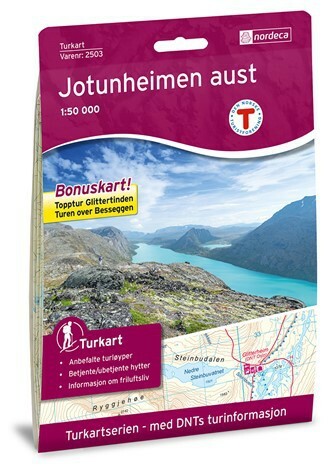 The back of the map contains touristic informations in english, german and norwegian. 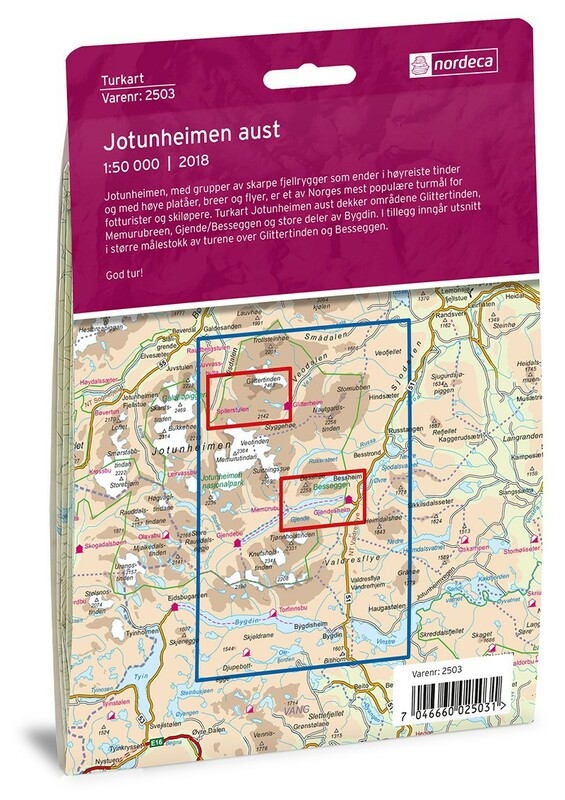 Jotunheimen Aust map, compatible with the GPS system, covers the top of Glittertinden the sector Bessengen Ridge.